What scares you? Snakes? Spiders? Bigfoot? It's different for everyone. Likewise, authors use different approaches for building suspense. Our Halloween treat for you is a glimpse at techniques from two YA authors for upping the stakes. We suspect this is a topic you want to know more about, because the most popular Cynsations posts of all time is April Henry's guest post on adding tension. 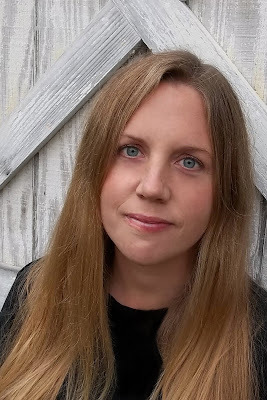 So,without further ado, Gillian French offers a plan to give your readers chills. And tomorrow Helena Eichlin will present a different route. Readers want to be hooked. We’re addicted to the rush of finding a story we want to live in, characters we want to bring along everywhere—the laundromat, the commute, lunchbreaks. 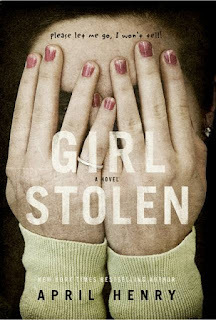 Broken down to its basic components, any un-put-downable story has suspense at its core. Not just footsteps-coming-up-the-stairs goosebumps, but a genuine investment in how things are going to turn out for our protagonist, and, ideally, the more peripheral characters in the book as well. You recognize compelling suspense when you read it—but as a writer, how do you craft this vital element and keep your audience turning pages until the wee hours? Strong Character Motivation: This is your most important job as a storyteller: making readers care about your characters. The swiftest way to do that is to figure out what each character wants, an easily relatable standpoint. We all have something we’re working toward, something that matters to us, whether it’s being a loving mom or a world-class bungee jumper. See also April Henry on Just Add Tension. In my YA paranormal thriller, The Door to January (Islandport Press, 2017), protagonist Natalie wants to find out why she’s experiencing a reoccurring nightmare about an abandoned farmhouse in her former hometown. The stakes are high right out of the gate—her peace of mind and sanity are in jeopardy—making it easy for readers to invest in her pursuit of the truth. As the action unfolds and more danger is revealed, Natalie’s journey grows more perilous, and, with some luck, a page-turner is born. Even antagonistic characters need motivation. No matter how loathsome you want readers to find your villain, he or she needs to exist in your book as more than an awfulness-producing machine. As uncomfortable as it may be, cast yourself in that role; we’ve all had our unlovely moments, times when we’ve done things we regret. The difference is, when this character does something awful, they rarely regret it. You may be surprised by how freeing that is, and how much fun you can have playing devil’s advocate. Timing Is Everything: Knowing when to ratchet up the suspense in your book can be tricky. Randomly dropping in action-packed or frightening scenes just because you’re worried that you’ll lose your reader can be indicative of larger structural problems or issues with character development, and probably won’t be effective. Have faith that your audience will hang in there during the quieter sections of the book; that said, every scene must have a purpose, even if it’s a conversation between two characters over coffee. A plot needs to work as a machine with multiple moving parts, churning towards one conclusion. Easy to say, not so easy to do. Simply put, the “big” scenes should feel natural because the pages that came before built the foundation to support them. If you find that your plot sags in places, try charting out a simple chapter outline, highlighting gripping, standout scenes. If you see uneven gaps between them, you may want to consider restructuring to make the action feel more measured. near Gillian's hometown. "I've heard stories about it since I was a kid." Tap into Your Senses: We’ve all felt anticipation and fear; the key is, remembering the finer details of those experiences and breaking it down on the page to get the strongest reaction from your reader. Think of a time when you were genuinely afraid—what effect did it have on your body, how you perceived your surroundings? Was any one sense heightened, a normally mundane smell like stale coffee, or a background noise like passing traffic or a ticking clock? If it was a person you were afraid of, what was it about their body language or attitude that lingers in your memory? This is your chance to dig into an uncomfortable memory and make it work for you. Brainstorm everything about that moment, then see which details really stand out. Also, contrasts in sensory perception can go a long way toward disquieting your readers. In The Door to January, during the first confrontation between Natalie and Jason, a boy who bullied and terrorized her when they were younger, I drew the focus in tight, contrasting the brightness of Jason’s words—“Hey, there, sunshine”—with the flat, cold expression in his eyes, trying to put both Natalie and the reader off-balance, not sure what he might do next. We’re all engineered to seek level ground, to find certainty, and readers will fly through pages to find out when or if the characters achieve that. Reading and writing suspense are the perfect way to experience nail-biting moments from the safety of your favorite chair. The more you finetune your craft, the stronger your grip on your audience will be—and you may be surprised when they thank you for the ride of their life. 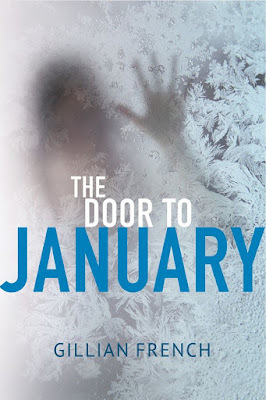 Kirkus Reviews called The Door to January (Islandport Press, 2017), "Chilling and suspenseful, this paranormal thriller with a touch of romance will keep readers on the edges of their seats." Growing up in rural Maine led Gillian French to believe that the mystery of the past is all around. She uses her surroundings as a setting for the dark stories that often have a creepy twist. 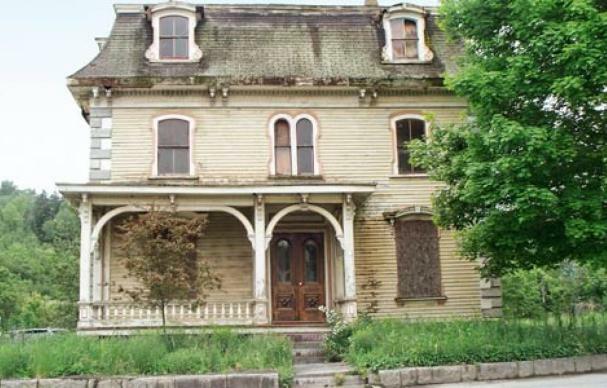 While she’s never seen a ghost, she’s pretty sure she’s heard ghostly footsteps in the night. Gillian’s short fiction has appeared in various publications and anthologies. Her first YA novel, Grit (HarperCollins, 2017) received starred reviews from both Kirkus Reviews and Booklist. Her next novel, The Lies They Tell (HarperCollins) is scheduled for publication in May 2018. She holds a degree in English from the University of Maine and is perpetually at work on her next novel.